The company Maier S. Coop. 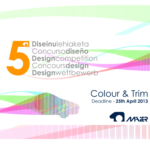 hereby announces the “8th Maier S. Coop International Design Competition”, focussing on Automotive Vehicle Design, from both the standpoint of Style and Colour & Trim. Take into account subjects as Materials, Colour, Interaction with the Environment, Use, Semantics…etc. Show us your vision of how light will change the way we see cars beyond 2025! Any natural person or legal entity may present their candidacy, as an individual or as a group. Please read these instructions carefully before submitting a project. Incomplete projects may be disqualified. None of the deliverables must contain any element (name, initials, signature, etc.) that identifies its author or authors. Only the PROJECT NAME should be visible in all of them. The project presentation period ends on Thursday, 28th March 2019. Projects submitted for competition shall not be returned nor shall any correspondence be entered into or any information be provided about them. That the project is original and has not been presented to any other competition or any other forum, neither verbally nor in writing. That he/she is the sole and exclusive project author (where the project has been produced by more than one person or by a company, they certify and guarantee that they are the sole and exclusive authors) and that it does not infringe, either directly or indirectly, the rights of third parties. That on its date of submission to this competition, he/she is the sole and legitimate owner of the industrial and intellectual property rights for the project (in the event that the project has been produced by more than one person or by a company, they certify and guarantee that they are the sole and exclusive owners). In the event that the participant is a natural person, that the project has not been created within the context of employment or the service of others. The jury is responsible for choosing the winners. The final jury composition shall be notified before the end of the project presentation period. We consider the possibility that the defence of the finalists will be perform in person before the Jury. 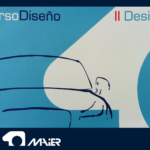 Prize for professional designers: Award, €8,000 and Material Connexion Bilbao licence. 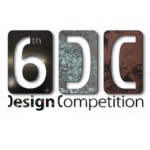 Prize for students: Award, €4,000 and Material Connexion Bilbao licence. 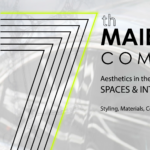 Prize for the best material sample book: Award, €2,000 and Material Connexion Bilbao licence. 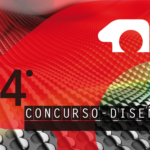 Prize for the best University: Award, €1,500 and Material Connexion Bilbao licence. In the event that the jury decides that none of the work presented meets the conditions for the award, the prizes may go unawarded. The awards ceremony will be held on Friday, 28th June 2019 in Bilbao – Bizkaia (Spain). The competitors grant Maier S. Coop. authority to publish, communicate, present or disseminate verbally, in wiring or graphically, the projects presented to competition, whilst always mentioning the project author. 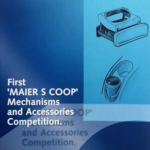 Maier S. Coop. will process participant’s personal data in accordance with the terms of Organic Law 15/1999 of December 13, on the Protection of Personal Data, for the sole purpose of running this competition. This competition is subject to Spanish law. In the event of a disagreement between the participant and Maier S. Coop in relation to the competition or the terms of these Rules, the Courts and Tribunals of Bilbao, Bizkaia (Spain) shall have jurisdiction to decide on any such dispute. Participation in this competition supposes full acceptance of these Rules. 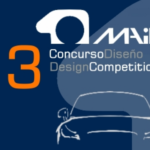 The official source of information are the web page www.maierdesigncompetition.com as well as the Competition’s Facebook Page (https://www.facebook.com/MaierDesignCompetition/) and all communications, modifications and progress regarding the competition shall be published on the aforementioned web sites.